Miss H started off her Saturday with her class at MyGym and was completely exhausted from the running around, climbing, ziplining (how cool is that? ), ball pit playing, sliding, swinging and tumbling. About ten minutes before class was over she just laid down in pure exhaustion. After class, it was a nice, long nap. Kerry and I have been talking about getting her hair cut for weeks because really it was getting out of control. The back was getting so long and her bangs were constantly in her face so off to the stylist we went. We were not sure how this was going to go over with her. You would think Kerry was the one getting his hair cut. 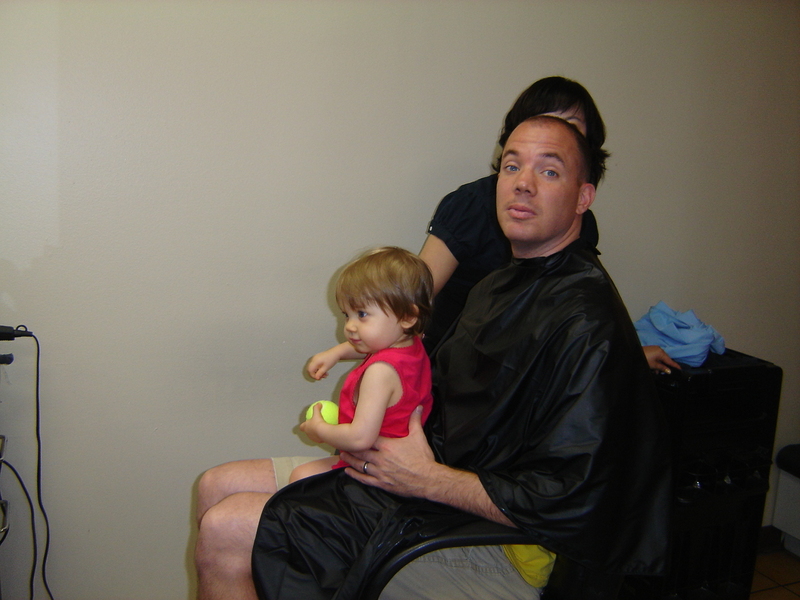 Besides a few quick movements- the haircut went well and the stylist was so nice and patient. The morning bed head is now much more in control. 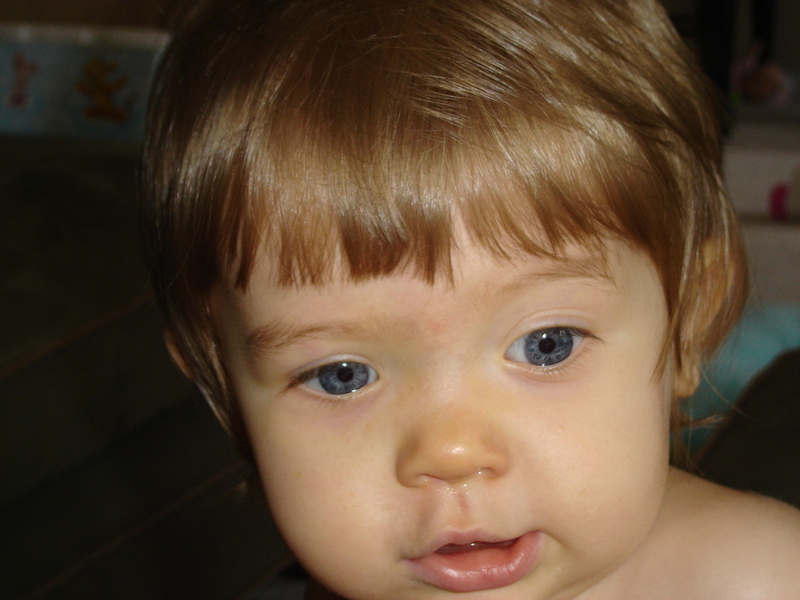 The bangs might be slighlty crooked from the quick head turns from Miss H but it will grow quickly. Thanks to Mom for being the babysitter last night! We finally got to see Iron Man 2.